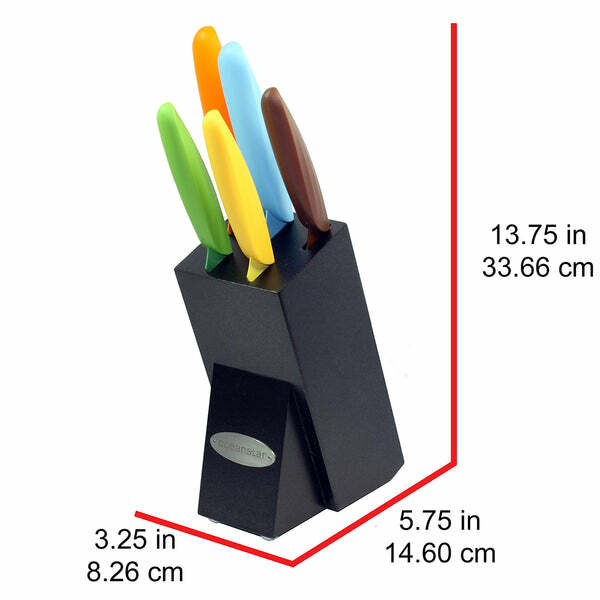 Oceanstar KS1217 6-Piece Non-Stick Coating knife set with Block, Elega (kitchen, knife set, oceanstar) | Knife Set | Oceanstar Design Group Inc. 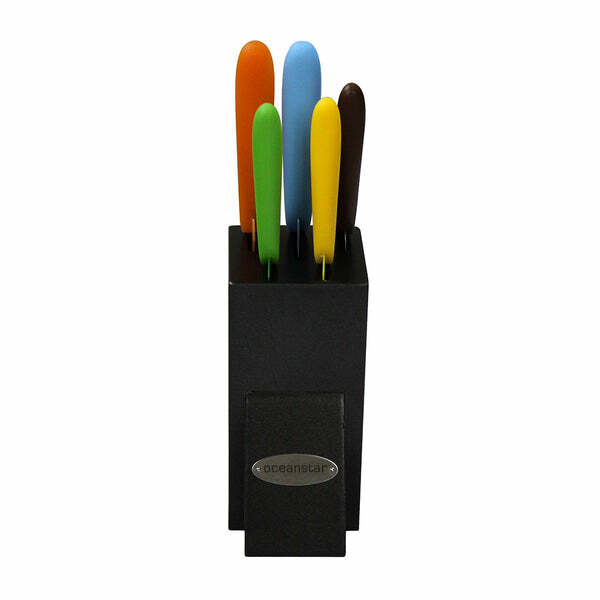 Colorful design from Oceanstar adds fun to functionality! 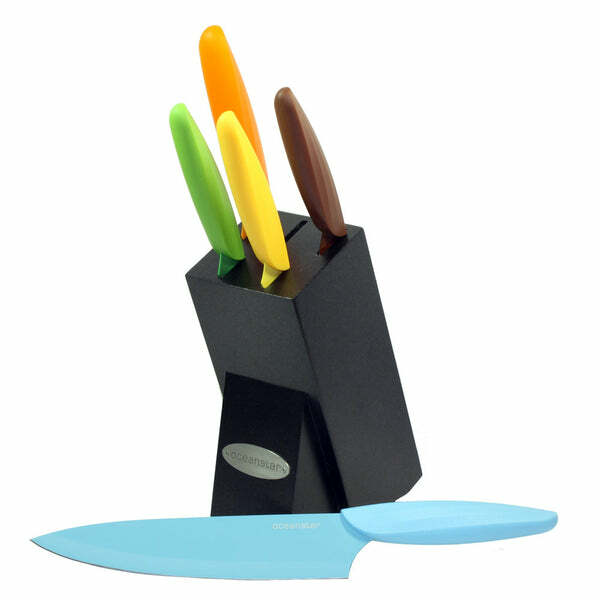 This 6piece colorful nonstick coating knife set with hardwood block in elegant black finish from Oceanstar is perfect for basic chopping, dicing, and slicing cheese. 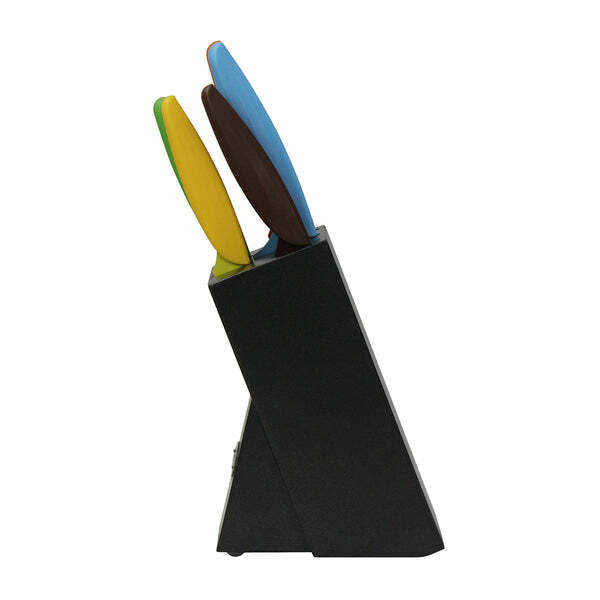 The nonstick coating keeps food from clinging to the blade and it is easy to clean. 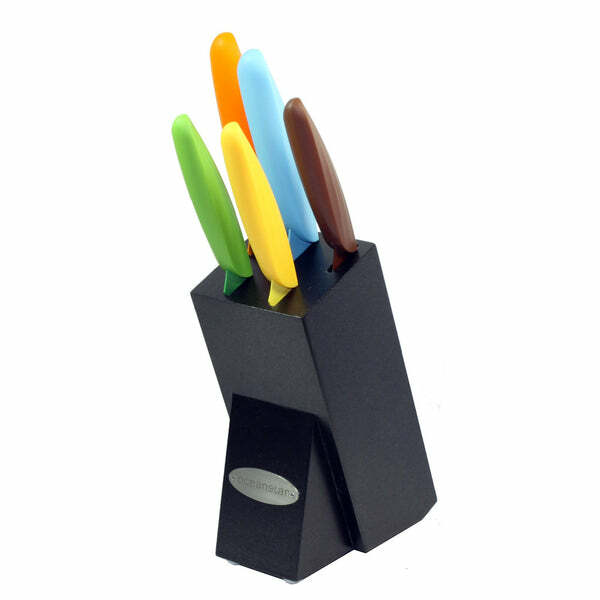 This 6piece set packs all knives in an elegant black finished hardwood storage block. Cleaning: Recommend manual cleaning with hot soapy water to keep knives in top shape. Limited 90 days warranty. 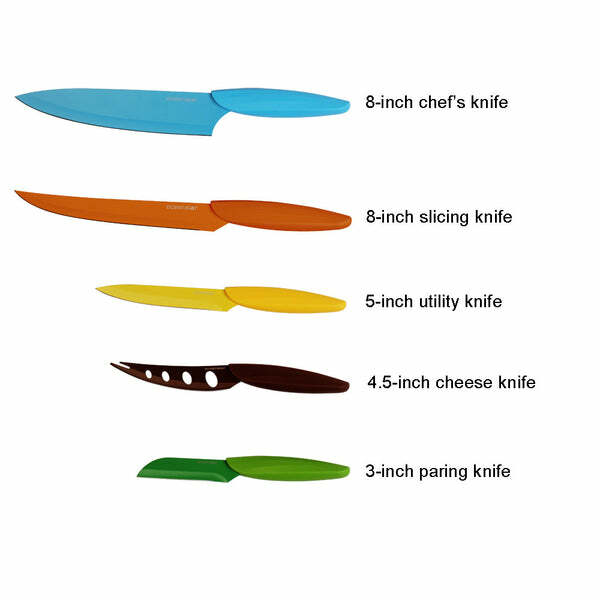 The set includes: 3-inch paring knife, 4.5-inch Cheese Knife, 5-inch utility knife, 8-inch slicing knife, 8-inch chef’s knife, and hardwood block. 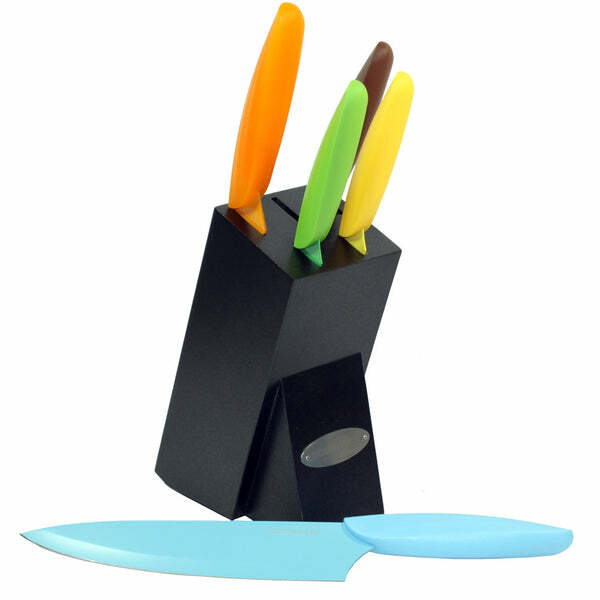 Food slides easily off the nonstick coated blade compared to stainless steel blade. Colorful design adds fun to functionality. High carbon stainless steel material with nonstick coating. 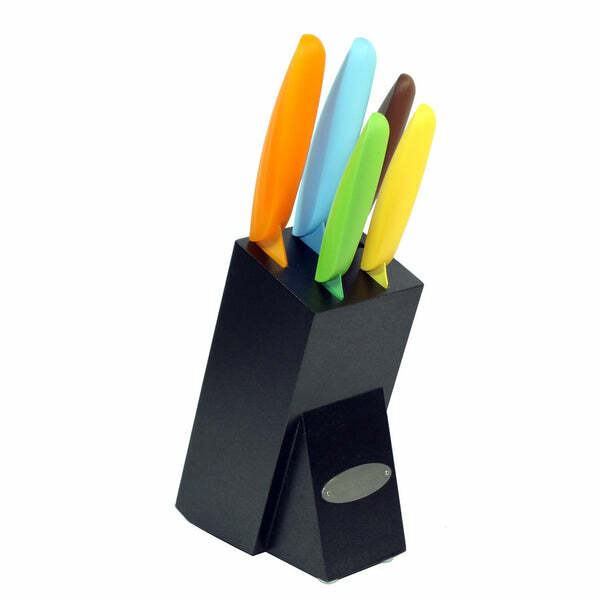 Hardwood storage block keeps your knives organized, safe, and ready to use. 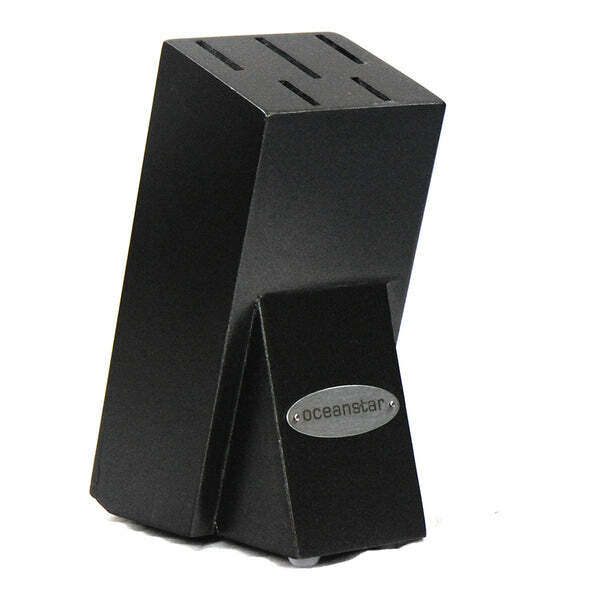 Elegant black finish hardwood block.